The Indian Premier League began its journey ten years ago in 2008. It has been a huge revelation in the last decade leading to an enormous change in the way cricket is played in the modern era. A majority of the present day cricket fans would have grown up watching cricket in the 90s and early 2000s. Most of the 90s players have missed out on playing in IPL and it would be an interesting experience for fans to think as to which of their childhood heroes would have been a runaway hit in IPL. 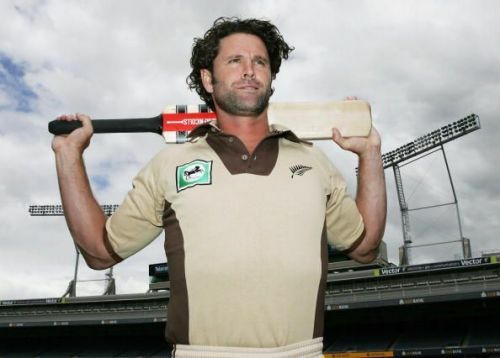 Chris Cairns made his debut for the New Zealand ODI team in 1991 and went on to become one of the best players of the country in that decade. He was a capable all-rounder and was a huge success for the Blackcaps. Cairns was known as a ferocious hitter of the ball and the ability would have come in handy for the all-rounder in IPL. He also complimented his batting exploits with his accurate bowling and was a genuine all-rounder who could win matches with both bat and ball for the team. The star player has been accused of match-fixing charges but that cannot take away the fact that he has been a great all-rounder for the Kiwi side. He has played in 62 Tests for New Zealand and is one of the few players to have achieved the double of 200 wickets and 3,000 runs. IPL 2019: Will Dale Steyn make a difference to the RCB squad?